Weâ€™re deeply committed to our refugee neighbors. This summer we helped support local families with back to school needs and walked with them in their new neighborhood park in celebration. But thereâ€™s more to be done. The Trump Administration is systematically dismantling the USâ€™s commitment to refugee resettlement. In typical years, 95,000 refugees are welcomed and assisted in getting a fresh start. Trumpâ€™s new plan is to slash this to 30,000 - a historical low, and significantly low point in our moral politics. Jesus urged us to care for the affairs of the world around us - the basics of what moral politics might look like. Weâ€™re sharing this helpful tool kit from Church World Service so you can join a choir of voices to take action. Stop President Trump from Dismantling Refugee Resettlement! Background: The Trump administration has set the refugee admissions goal for next fiscal year at 30,000 - the lowest level in U.S. history. Last year, the administration set a historically low refugee admissions goal at 45,000 - in the face of the worst refugee crisis in global history. For nearly four decades, the average refugee admissions goal has been 95,000. Today, there are more than 25 million refugees worldwide -- more than half of whom are children. Refugees are more than just a global figure; they are families torn apart, children who have witnessed profound violence, and people seeking a chance to rebuild their lives and raise a family in safety. Protecting vulnerable populations is not a zero-sum game; we can and should protect refugees and others fleeing violence or persecution. Refugee resettlement facilitates U.S. diplomatic, national security, and foreign policy interests. Weâ€™re inviting you to pick up the phone, write a letter, visit our Oregon decision makers and share on social media that we want this decision to be changed! Call Your Senators & Representative Today: Click here to be connected to your 2 Senators and 1 Representative. Here is an example of what to say: â€œIâ€™m your constituent from [CITY/TOWN], and I urge you to protect the refugee resettlement program. I am outraged that President Trump has set a new historic low for FY 2019â€™s refugee admissions goal at 30,000. Protecting vulnerable populations is not a zero-sum game; we can and should protect refugees and others fleeing violence or persecution. Refugee resettlement facilitates U.S. diplomatic, national security, and foreign policy interests. The White House is also required to consult with Congress prior to setting the refugee admissions number, but they have not done so. Congress must act. I urge you to do everything in your power to see the administration resettle at least 75,000 refugees in 2019 and to stop the administration from further dismantling the resettlement program. My community welcomes refugees, and I urge you to reflect the best of our nation by supporting refugee resettlement." Host a Press Conference or Vigil in Your Community: Consider inviting refugee leaders to tell their stories, faith leaders, business leaders and local elected officials. 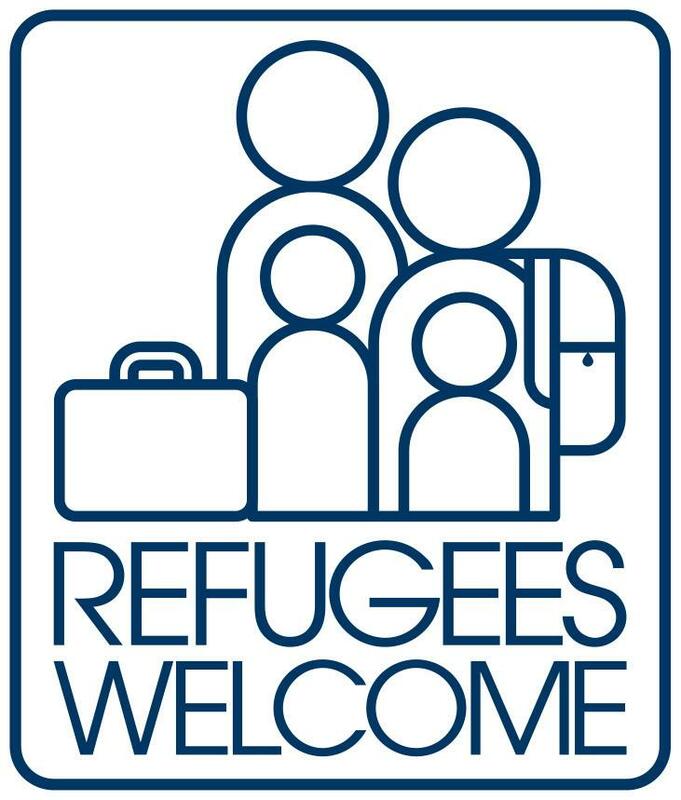 Invite the media to show a strong message of support to welcome refugees. Â Click here for the #Welcome75k toolkit which has sample media advisories and steps to host a public witness event. Write an Opinion Editorial (Op-Ed) or Letter to the Editor (LTE): A well-placed piece in local media outlets has the power to influence decision makers. Click here for a #Welcome75K Toolkit for sample op-edâ€™s & LTEs. What Christ Church kids Are Reading This Fall!